A Panacea For All Enterprises! In order to succeed in our relentlessly competitive world, the strategy of businesses is built on gathering, examining, and storing a lot of information. As a matter of fact, this way of strategizing has gained momentum with the progress in technology. Understandably, with fast information growth arises the matter of a higher need for data storage. Once the factor of data storage comes into the picture, there are several things that become connected to it from a business perspective. There are four common things which are related to data storage and they can be summarized as accessibility to important information, the availability, encryption, and most significantly, recovery in case of unexpected loss of data. Providing the solutions to such roadblocks is a major characteristic of cloud server storage. Cloud storage is the most effective investment a newly established business can do. Cloud storage is additionally a real-time data sharing platform, particularly for various documents and files which are too large to transmit by email or conventional methods of coordination amongst internal teams or within organizations. If customers would like a reliable data backup technique, immediate access to their files, a straightforward option to share various files with shoppers and employees, cloud storage service is the answer. What Does One Perceive By Cloud Storage for SME Business? These days, SME’s are securely saving their critical information on remote databases to which they have accessibility with the assistance of the internet. The cloud storage provider handles such databases that are usually part of public clouds. There also exist several businesses, which wish to gain access to a cloud system in which they will get the benefits from both private and public cloud. This latest cloud format is labeled a hybrid cloud storage system. Many regularly used services are already using cloud storage. Now your business can revel in the accessibility, storage features, management and measurement of your business data worldwide, with the CloudOYE brand of Cloud Storage. CloudOYE cloud storage solutions merge enterprise-level data storage along with networking hardware very precisely, to supply quick and resolute storage platforms for our clients. We design our cloud storage systems for business to perform archiving, management, and give plenty of useful information with simplicity. Object associated storage offers easy management to the end-user for retrieving and managing data in the exact manner they need to. With implementation of smart data management, our customers’ unstructured information is efficiently routed towards the correct storage system, effectively improving the integrity of data storage. Customers can even replicate or transmit their specific data at any time and place. 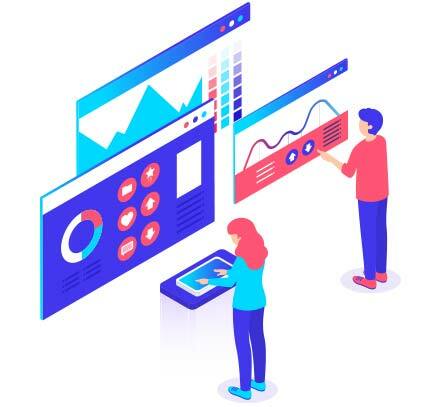 Furthermore, with robust tagging, discovery, and classification attributes, customers may simply allot descriptive data tags to retrieve those specific bits of data at the exact time they are needed. Azure Storage provides a widely scalable object store for various data objects, a filing system service designed especially for the cloud, and a communication software for flexible messaging. Redundancy checks guarantee that the customer’s data is secure even in the scenario of temporary hardware failures. Every bit of information recorded into Azure Storage is protected by it. Azure Storage offers the customers with precise management over which people possess accessibility to sensitive information. Azure Storage is intended to be widely resizable to fulfill the varying information storage and performance demands of clients’ applications. Microsoft Azure manages cloud storage maintenance and all essential issues for the client systems. Information within Azure Storage is available from any location, secured with HTTPS protocols. Microsoft also offers SDKs for the Azure cloud storage service. A Data Lake is technically a data warehouse which holds a colossal quantity of data in a localized format till it is required. Contrary to a stratified information repository that gathers all the data within files or folders, the data lake cloud storage design utilizes a flat structure to store data. Azure Data Lake is basically one of the latest categories of data storage from the Microsoft Azure arena. It provides the capability for storing and examining information of any undefined kind or size. It provides several access alternatives like U-SQL, HBase, Hive, Spark, and Storm. It is designed over YARN and HDFS. It offers dynamic scaling to suit the clients’ business requirements. It offers organizational-grade encryption with Azure Active Directory. It offers maintenance and assistance with top class SLA. Azure StorSimple fulfills the criteria of high performance with capability-centric applications and also provides the customers with a hybrid cloud storage resolution for various data. It has physical arrays for the purpose of deployments in various datacenters along with virtual arrays for remote working organizational environments such as branched corporations that need network-attached storage (NAS). By utilizing native storage for performance, customers get the flexibility to store everything from system volume information to customer data. The outcome is a hybrid cloud storage which provides solid data storage with backup, archiving, integrated information encryption and location-independent disaster recovery. Once paired with the services of Microsoft Azure, StorSimple offers large scaling of storage framework, eliminates consistent storage sprawl and positively modifies storage potency and prices. Amazon Web Service delivers an entire series of cloud storage services for assisting every application and regulatory compliance need. Clients can choose from the object, file, and block storage based services as cloud data migration and storage alternatives to begin the creation of their metaphorical pillars for a cloud based IT atmosphere. AWS offers a wide range of cloud data storage products such as Amazon Elastic Block Store (Amazon EBS), Amazon Elastic File System (Amazon EFS), Amazon Simple Storage Service (Amazon S3), Amazon Glacier, AWS Storage Gateway and Amazon Cloud Data Migration Services. Amazon Elastic Block Store (Amazon EBS) offers ‘block level storage volumes’ to be utilized with the assistance of EC2 (Elastic Compute Cloud). EBS volumes are extremely accessible and flexible storage volumes which may be hooked up to any data which is within that Availability Zone. EBS volumes which are associated to an EC2 instance are treated as storage volumes which serve through the lifetime of the instance. With the usage of Amazon EBS, customers have to do payment for just the amount of resources they utilize. Amazon EBS is usually suggested where data is required to be rapidly available and needs commitment of comparatively massive amounts of resources. EBS volumes are significantly matched to be utilized here because of its primary storage for various file systems, databases, or various applications which need precise and suitable updates and availability to raw and even unformatted block-level storage. Amazon EBS is similarly applicable to each database designed for applications which run on unsystematic reads and writes, and also to turnout intensive rigorous applications which perform elongated, persistent reads and writes. Amazon Simple Storage Service is basically systematically provided storage for the web. It is purposely built to keep web-based computing simple for customers. Amazon S3 features an easy internet based interface which users may utilize for storing and then retrieving any quantity of information at any instant of time, from anyplace across the net. It offers every user access to an extremely flexible, quick, and cost-effective data storage framework which Amazon utilizes to execute its very own network of several websites. The service basically enhances the advantages of cloud data storage. Collect data within a bucket and transfer several objects as preferred to an Amazon S3 bucket. Every object will comprise around five TB of data, though this figure is an approximation. Every object is kept and retrieved utilizing a distinctive developer-assigned key. Download the information or permit others to do so. Transfer the concerned data at any time preferred by user or schedule data downloads. Provide or cancel data availability to others who need to transfer data to the Amazon S3 bucket. Grant transfer related permissions to different sorts of users. Amazon S3 authentication mechanisms will facilitate keeping the data safe from unauthorized or manipulative access. 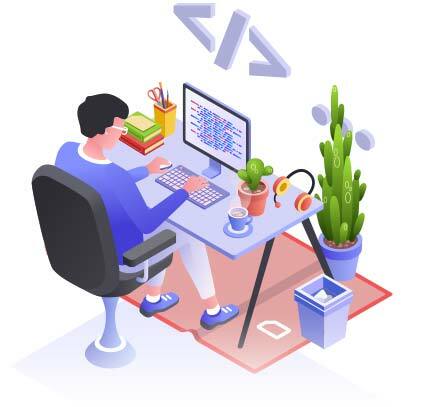 Utilize standards such as REST and SOAP interfaces and web services which are constructed to process many Web-development toolkits. Amazon Glacier is a technically secured, flexible, and quite inexpensive cloud based storage service for the purpose of data archiving and persistent backup. It is basically build to provide 99.999999999% sturdiness of data storage, and offers inclusive security and compliance features which may facilitate in fulfilling the most rigid and restrictive needs. Amazon Glacier offers ‘query-in-place’ practicality, permitting the customers to execute robust analytics all across the archived information. Users will store information at rates billed per Gigabyte for every month, thereby obtaining major savings in comparison to on-location data storage solutions. For keeping the prices low yet appropriate for variable data retrieval requirements, Amazon Glacier offers 3 choices for accessibility to archives, from a number of minutes to many hours. It is the foremost archival method introduced by Amazon Web Services. There is a plethora of advantages of cloud storage, leading to customizable specifics which are relevant to all sorts of unique business requirements. When the customers are selecting a business cloud storage strategy for themselves, they are almost always thinking about quality that successively results in business enhancement. Thus, it is not of much importance if customers are engaging in business from home or waiting for their next flight to a conference, the cloud has permitted cooperative operations no matter where you are. Migration to cloud storage has helped businesses deliver a sparkling quality of service to customers. 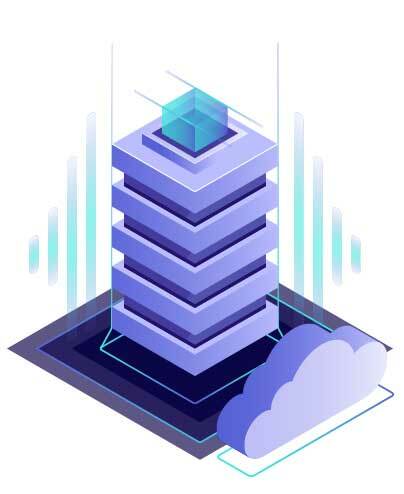 With the evolution of cloud storage, businesses receive protection which is at the industry level, which is often due to the reason that the improved security is attained because of hosting information within a good data center rather than any vulnerable hardware set up in the workplace. One more important facet of cloud storage security is that there exists no single point of failure within the cloud. 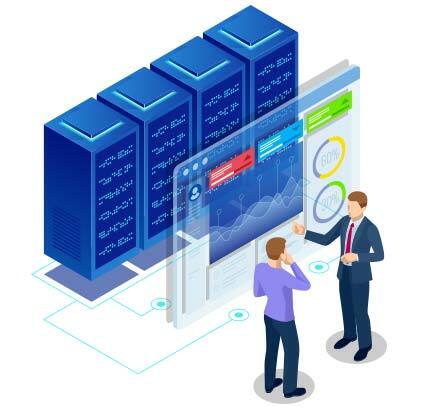 This is due to the fact such that the information is distributed among several servers which are basically interconnected for failover situations and disaster recovery. The primary motive of business is gaining profit and price advantage. Cloud storage is extremely cost-effective due to the fact that cloud service providers (CSPs) pass on the lower prices of their framework and various services to clients’ businesses. Migrating business processes to the cloud removes the price of hardware along with maintenance costs. Eliminating these kinds of expenses translates into vital savings. Whenever a business opts for cloud storage, it basically obviating the enforcement of standard or fixed costs on expensive infrastructure. By paying for the exact resources of cloud used over any period of time, which is often called the ‘pay as you go’ model, businesses save major money! Hence, with the usage of scalable cloud facilities, customers will be able to alter storage space and computing resources. If customers would like more resources, they simply need to pay for that extra quantity, and not a penny more! In the relatively new arena of business cloud storage facilities, even first time clients require only a laptop and online connectivity to utilize cloud storage solutions. Once customers are utilizing the cloud, server hardware is not required any longer. Not only is the expense of setting up a physical area spared, cloud storage also removes maintenance requirements in addition with the need for extra in-house staff. CloudOYE has mastered the art of cloud storage for small business ! Let’s get together and chart new courses for your business to go places!